The United States will meet the Taliban in Doha in the coming days for talks aimed at achieving peace in Afghanistan, where American armed forces have battled insurgents for 12 years, U.S. officials said today. The U.S. said the Taliban will issue a statement today opposing the use of Afghan soil for attacks on other countries and that they support an Afghan peace process. 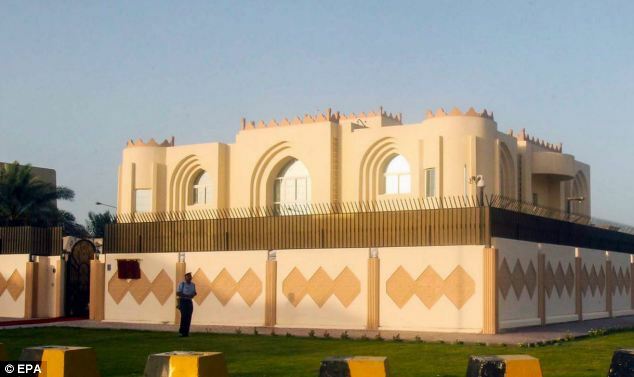 The news came as the Afghan Taliban opened an office in Qatar to help restart talks on ending the 12-year-old war, saying it wanted a political solution that would bring about a just government and end foreign occupation. 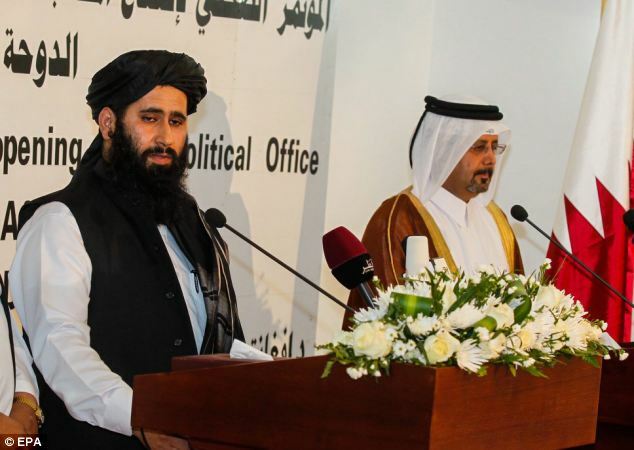 Taliban officials held secret negotiations in Norway over the past few months that played a significant role in the opening of the Taliban’s Qatari office, foreign minister Espen Barth Eide told state broadcaster NRK. The United States will insist the Taliban break ties with Al Qaeda, end violence, and accept the Afghan constitution, including protection for women and minorities. It has already doused expectation about peace, by warning it expects the talks to be lengthy. ‘This is but the first step in what will be a long road,’ one U.S. official said after the news was announced. 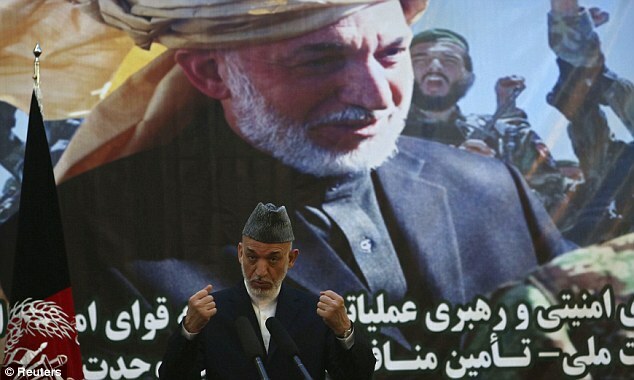 In another positive move for the war-torn country, Afghan President Hamid Karzai announced today his country’s armed forces are taking over the lead for security nationwide from the NATO coalition. The handover of responsibility marks a turning point for American and NATO military forces, which will now move entirely into a supporting role. It also opens the way for their full withdrawal in 18 months. ‘This is a historic moment for our country and from tomorrow all of the security operations will be in the hands of the Afghan security forces,’ Karzai said at the ceremony, held at the new National Defense University built to train Afghanistan’s future military officers. Could newly-announced U.S. talks with the Taliban end the conflict in Afghanistan after 12 years? 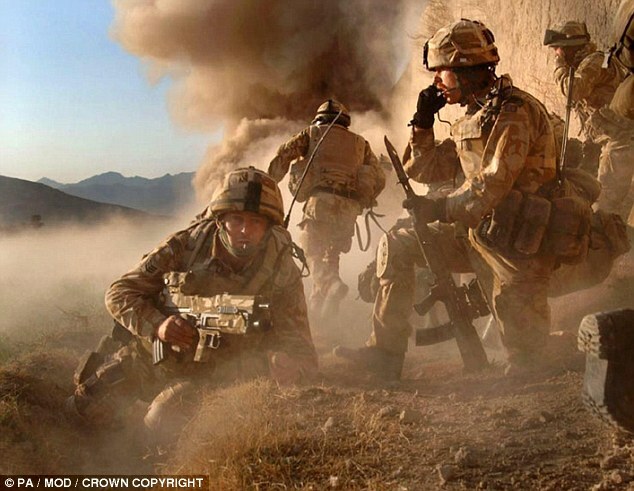 The handover in Afghanistan has been brought about by the growth of military training in the country since 2009. It has dramatically increased the size of the Afghan National Security Forces, bringing them up from 40,000 men and women six years ago to about 352,000 today. After transition, coalition troops will move entirely into a supporting role – training and mentoring, and in emergency situations providing the Afghans backup in combat, mainly in the form of airstrikes and medical evacuation. ‘Ten years ago, there were no Afghan national security forces. Five years ago, Afghan forces were a fraction of what they are today. Now you have 350,000 Afghan troops and police. A formidable force. And time and again, we have seen them dealing quickly and competently with complex attacks. Defeating the enemies of Afghanistan, and defending and protecting the Afghan people,’ Rasmussen said. 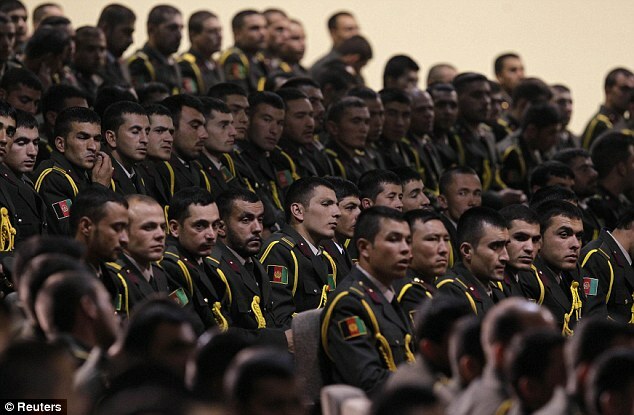 Afghans will now have the lead for security in all 403 districts of Afghanistan’s 34 provinces. Until now, they were responsible for 312 districts nationwide, where 80 per cent of Afghanistan’s population of nearly 30 million lives. Afghan security forces were until now carrying out 90 per cent of military operations around the country. ‘As your forces step forward across the country, the main effort of our forces is shifting from combat to support. We will continue to help Afghan troops in operations if needed. But we will no longer plan, execute or lead those operations. And by the end of 2014, our combat mission will be completed. 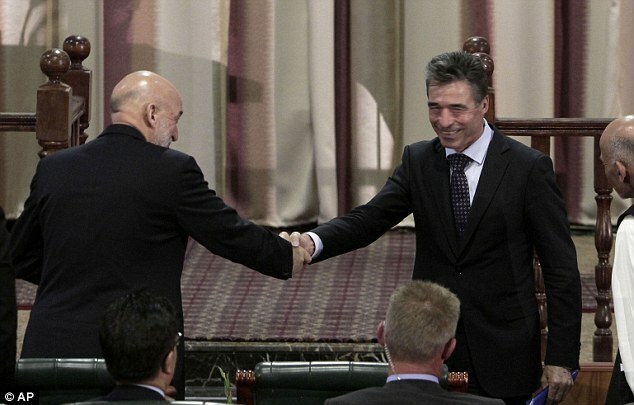 At that time, Afghanistan will be fully secured by Afghans,’ Rasmussen said. The handover paves the way for coalition forces – currently numbering about 100,000 troops from 48 countries, including 66,000 Americans – to leave. By the end of the year, the NATO force will be halved. At the end of 2014, all combat troops will have left and will replaced, if approved by the Afghan government, by a much smaller force that will only train and advise. 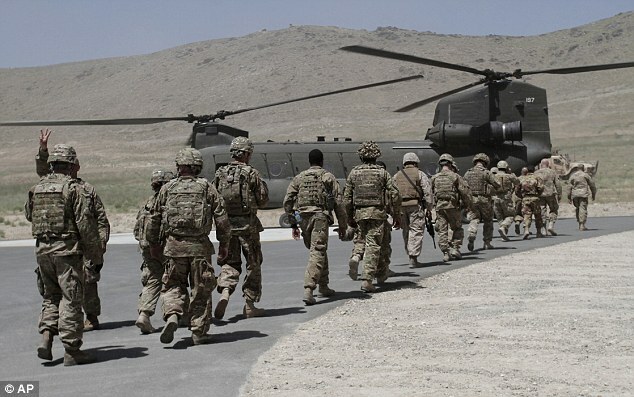 President Barack Obama has not yet said how many soldiers he will leave in Afghanistan along with NATO forces, but it is thought that it would be about 9,000 U.S. troops and about 6,000 from its allies. The Taliban insurgency has been pressing an intense campaign of violence in the run-up to Today’s security handover.